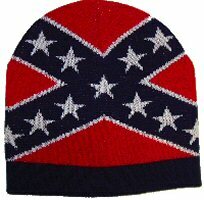 This hat is really cool and nobody else has one! The brim shapes and they are very rustic looking. 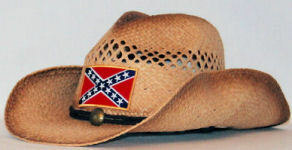 Southern Cowboys, Cowboys and want-a-be types will love this hat! Great to wear at work, working around the house or riding your bike. Cotton. 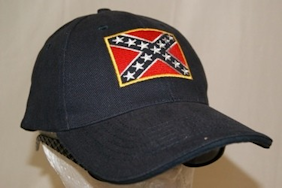 Rebel Yell On Line is the provider of specialty gifts for all times of the year for all types of activities and celebrations: birthdays, holidays, Christmas, anniversaries, and any special occasion. 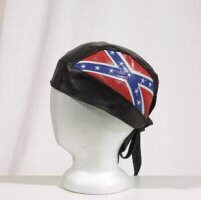 Rebel Yell has selected a group of specialty Confederate hats, caps, cowboy hats, toboggan hats, skull caps, and do-rags that are in demand yet unique. Some are leather and some are cotton twill or knit. Please review the descriptions carefully to insure that we are providing you exactly what you expect. 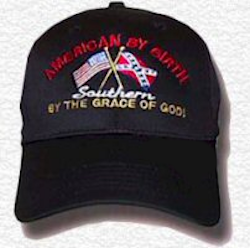 You can have fun with these gifts and learn more about the South and Southern Heritage by visiting with us and our links to other sites.